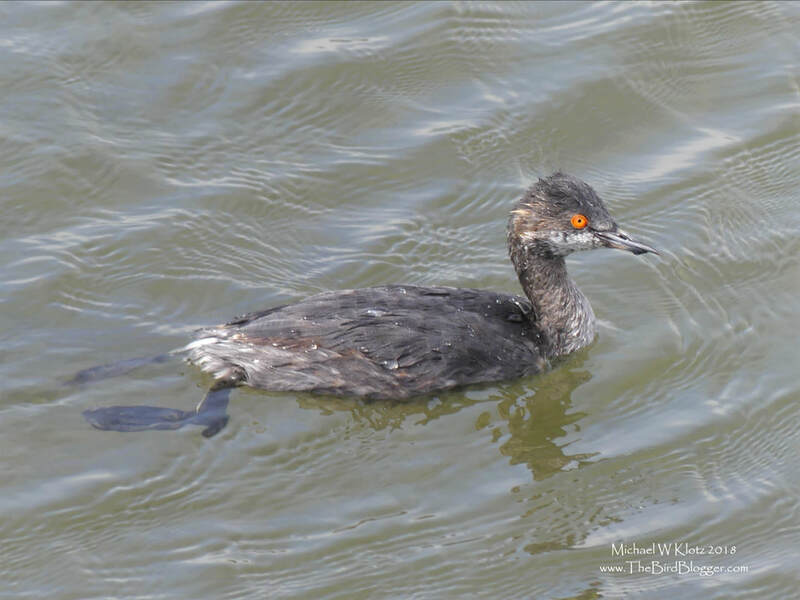 When I first had a look at this bird at Bolsa Chica, I thought I was looking at a Least Grebe, but as it turns out, its an out of breeding Eared Grebe. The bird dove around the boardwalk for sometime looking for invertebrates. I noticed the bottom half of his beak was shorter than the top which is somewhat unusual. The most striking part of the bird is the eye in this shot, but during full breeding plumage, the birds full body color scheme is stunning.